The vital tool for capsulorhexis. 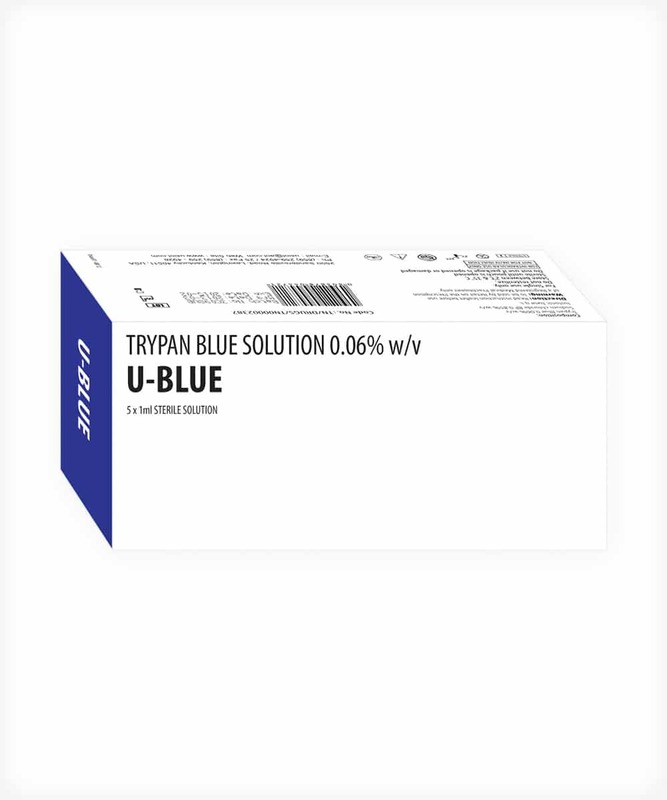 U-Blue is a dye used in matured cataract surgery to stain the anterior capsule and fibrous tissue, enabling the surgeon to visualize the capsule clearly. Store between 2°C and 35°C.